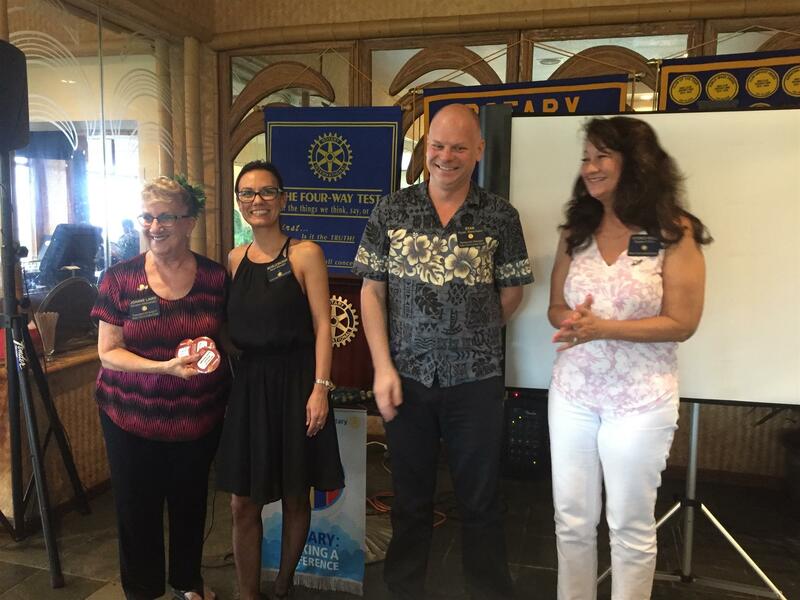 Congratulations to our new members Michelle Baliguat, Ryan Beenken, and Kyoko Wills for completing the new members “homework” and earning their official Rotary Club of Lahaina Sunset Blue Badge! All three worked very hard on many projects since their induction. Not present but also ready to “retreat their red badges” are Nicole Angove and Tori Taylor. No more “stinkin’ red badges”! !